Pass just east of Livermore. famous giant redwood trees or giant sequoia in California. 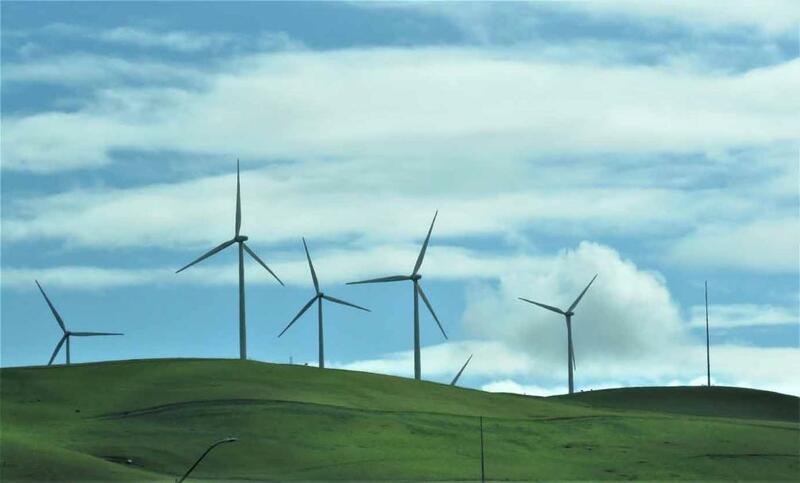 The relatively small size of cars on I-580 in this picture show the giant size of these wind turbines. 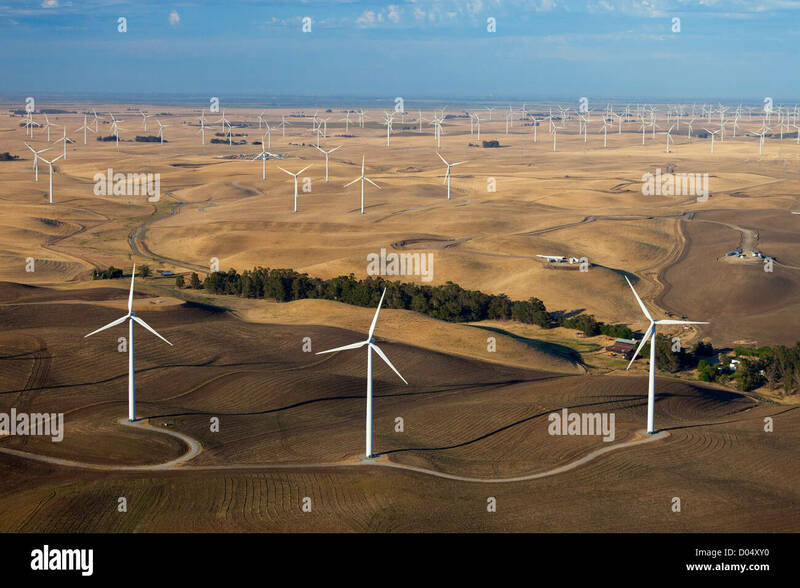 picture also show the giant size of these wind turbines. atop the golden hillsides along Highway 580 between Livermore and Tracy. bound of I-580 going from Tracy to Livermore. 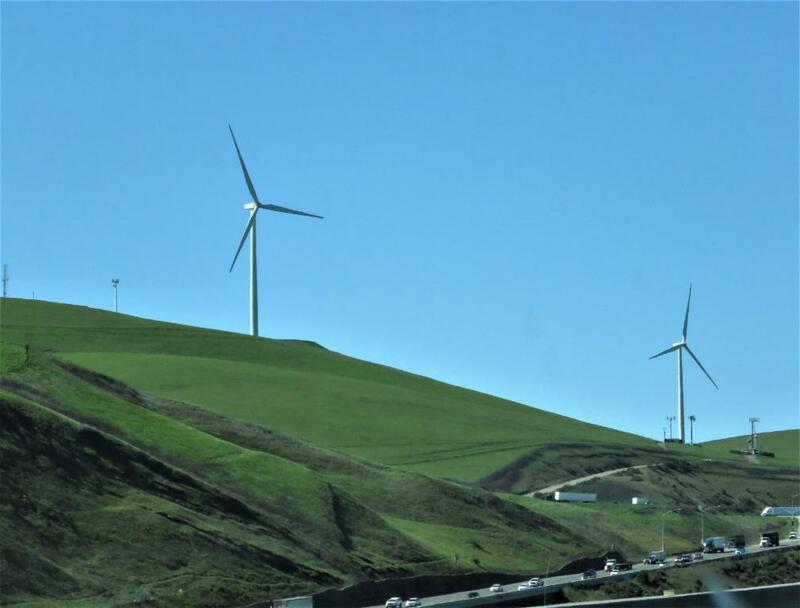 The wind turbine farm on Altamont Pass on south side of I-580 as viewed from Tracy. 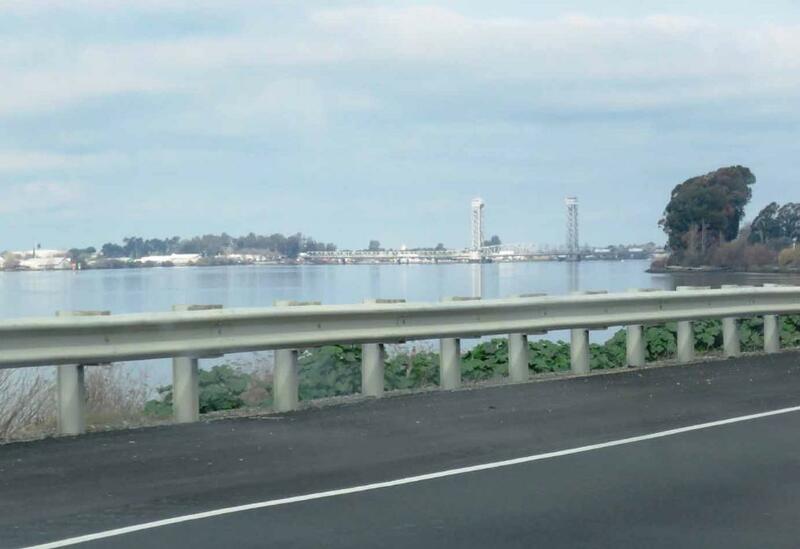 through Suisun Bay and San Pablo Bay. 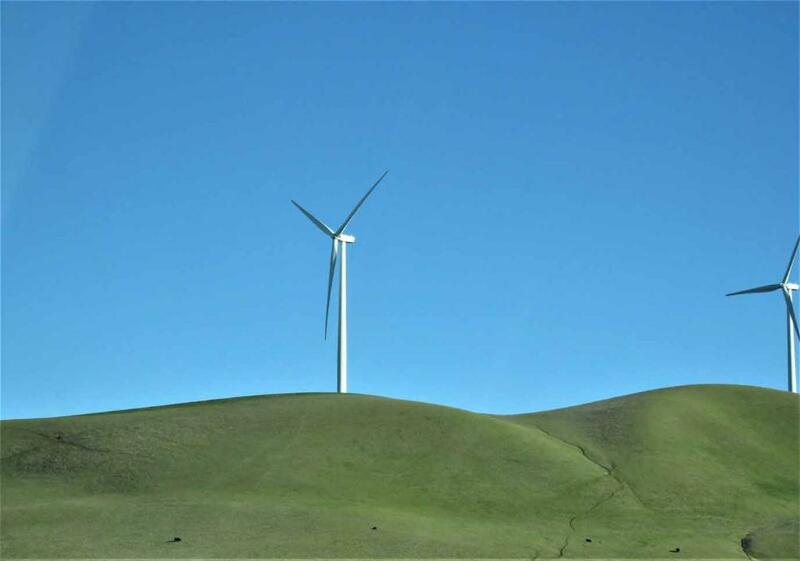 On January 23, 2018, we came to see and to photograph this second giant wind turbine farm near Rio Vista. passenger seat and took all the pictures while our car was moving at normal highway speed. 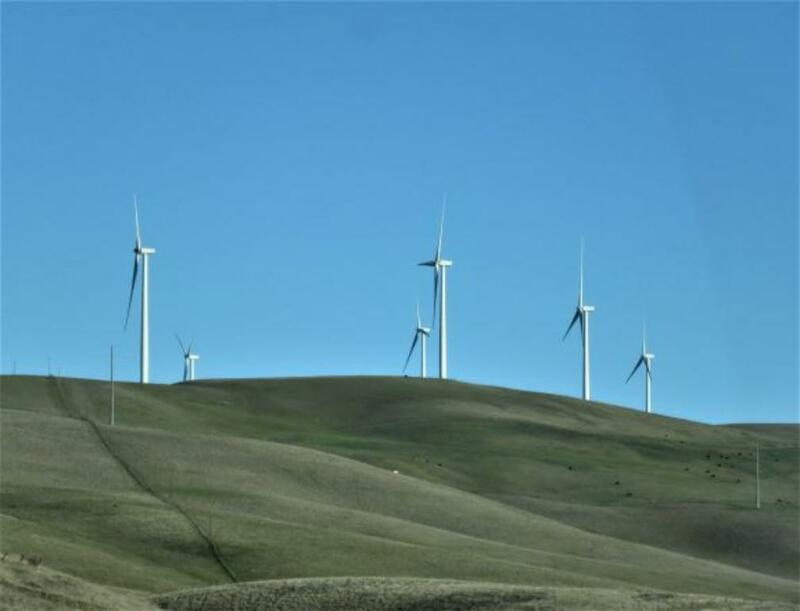 South edge of the giant wind turbine farm on Montezuma Hills as viewed from Highway 4.
of an upturned blade is about the height of a 40-story building. 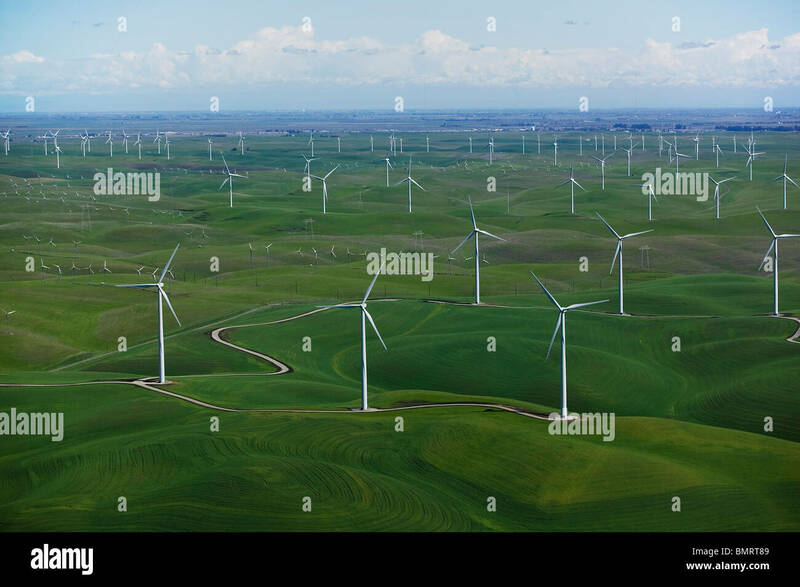 Another view of the south edge of the giant wind turbine farm from Highway 4.
agriculture including sheep grazing and non-irrigated grain growing. 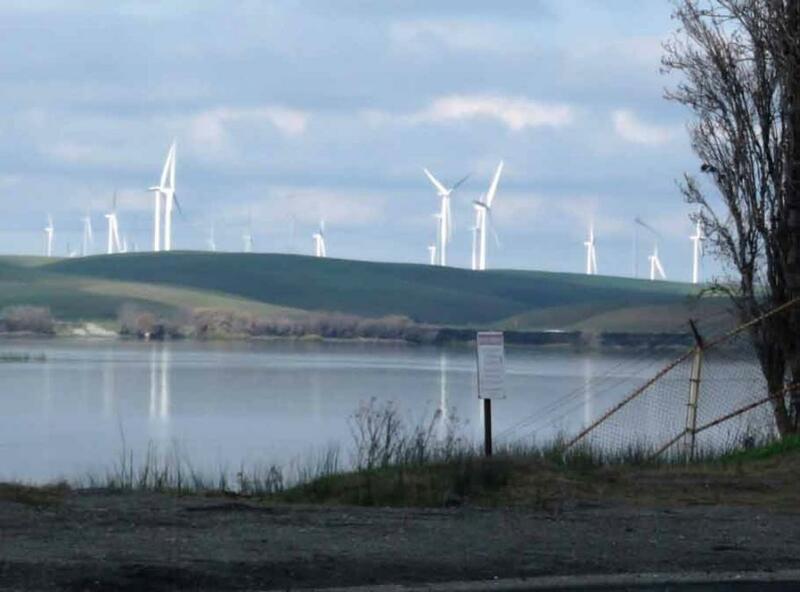 North edge of the giant wind turbine farm as viewed from Highway 12. Highway 160 along Sacramento River. The far side is Rio Vista. 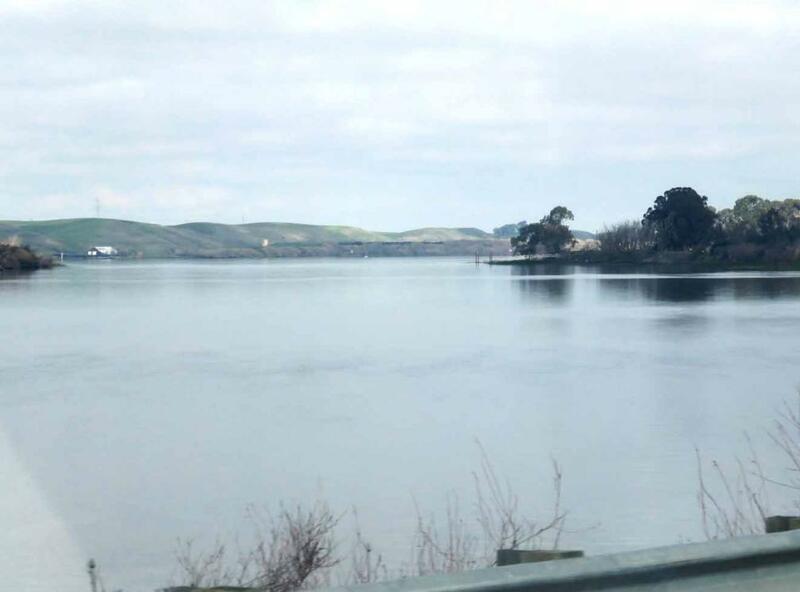 Sacramento River as viewed from Highway 160. 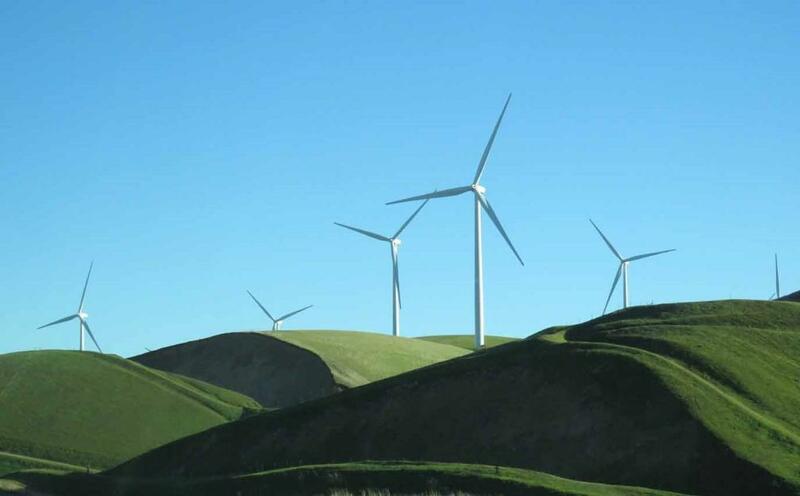 Aerial views of this wind turbine farm on Montezuma Hills can be seen here, here and here. In the dry summer and fall seasons, these hills become golden brown color. Winter is the raining season in California such that the grass are turning green in late December.